Jerry Wayne goes into a tailspin after experiencing a horrific car accident. Then one night, the young man meets Reginald Jefferson, who teaches Jerry how to become Change-Resilient and changes his life forever. A simple story with a powerful message, When "It" Happens! 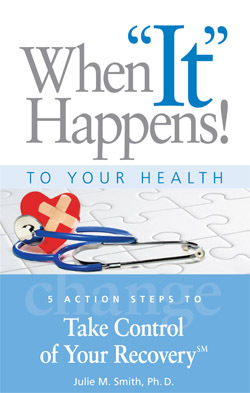 To Your HealthTM offers what other “coping with change” books have missed — step-by-step, how-to guidance that really works. Change comes in many forms. No matter what the circumstances, you can deal with it in ways that make the experience easier and the results positive.